I really want to go to France and see the beautiful flower markets in Provence. But, as you know I can't go just yet. ~$$$$~ I'm reading books and dreaming a lot about the places I want to visit. 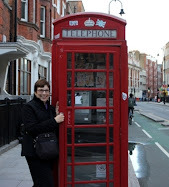 As you know or if you are new to my blog I dream up a fantasy and create the place in my own back yard. 'Lavender' 'White Eden' 'Miss All American Beauty' in the little pitcher. The yellow yarrow is blooming like crazy. The vase is a half-gallon canning jar from our canning supply shelf. Oh. it would be so lovely to have a Flower Shop and smile as happy faces pick the flowers to carry home. 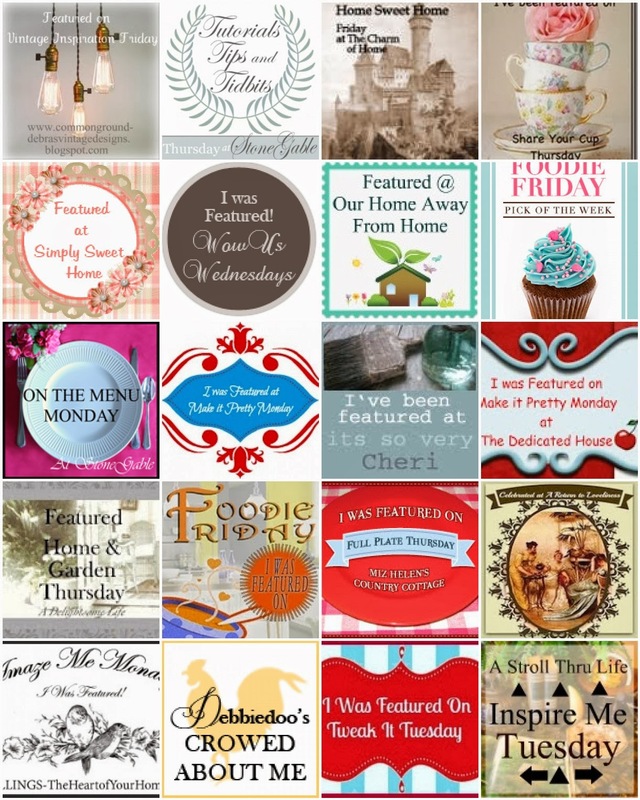 I hope you have found a few favorites to take home. And what a darling shop you created! I love it! Gorgeous flowers and I love how you create vignettes about places you want to visit. That's a lovely dream-come-to-life....thank you for sharing your creativity. It's a sweet little shop! Your little flower shop is lovely! Very creative and beautiful with all the pretty flowers. Have a happy week ahead! Betty, your flower shop is fabulous! Beautiful images! There are lots of places I'd like to visit too but home is the best place of all. The way you've created this is just spectacular! I'm not sure France has all that much on you. Those are some mighty gorgeous blooms. I love that you recreate the dreams in your own backyard. What a great idea. What I wouldn't do to have peonies! They don't like Florida soil so much though, from what I hear. I enjoyed yours though. I retire in exactly 1 month- my husband is counting the days, but I am too busy at school to count down. Anyway. my husband planned a retirement party for me, contacted the caterer, and is getting all the invitations out. I have been thinking about what to use for decorations and now you gave me the perfect idea. I will create a French flower market look. I have one month to be thinking about exactly how it will look and make 6 more pillows for the garden fire pit! 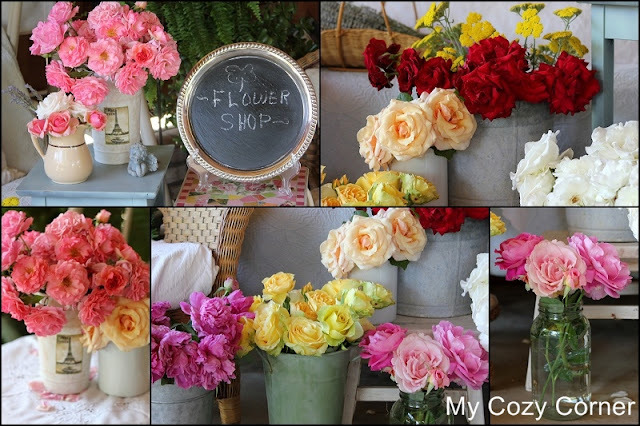 Your French flower shop, collated in a collage, could be a work of art on canvas! Gorgeous - I'm partial to peonies, as they are a childhood favourite of mine but cannot grow them here in these TOO hot, Mediterranean temps! Visiting via Kathy's. That is beautiful! so glad you shared it! Absolutely beautiful! I bet the fragrance was amazing!!! Hello from Outdoor Wednesday. Your flowers are beautiful - so colourful. My sister in law used to be a florist and she was so talented at putting just the right combinations of blooms together. Great photos too. Your " Flower shop " is gorgeous! Your Flower Shop is the prettiest I've ever seen. 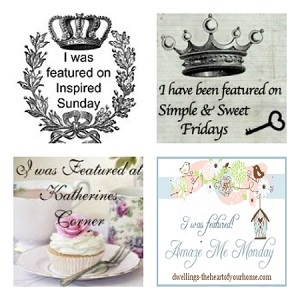 I would love for you to share at Simple & Sweet Fridays. You would inspire everyone! I traveled a lot in my young days, but now it is only in dreams. Teresa @ Freebies 4 My Family! What gorgeous roses and peonys! Mine are just buds and I am holding my breath with anticipation. Your flower shop is adorable. I have considered having one myself. What therapy it would be to be surrounded by such beauty each day. Have a wonderful day! I would say you've done pretty well setting up shop. Flower markets in Europe may be bigger but your small one is no less attractive. It looks wonderful! Love all the flowers! 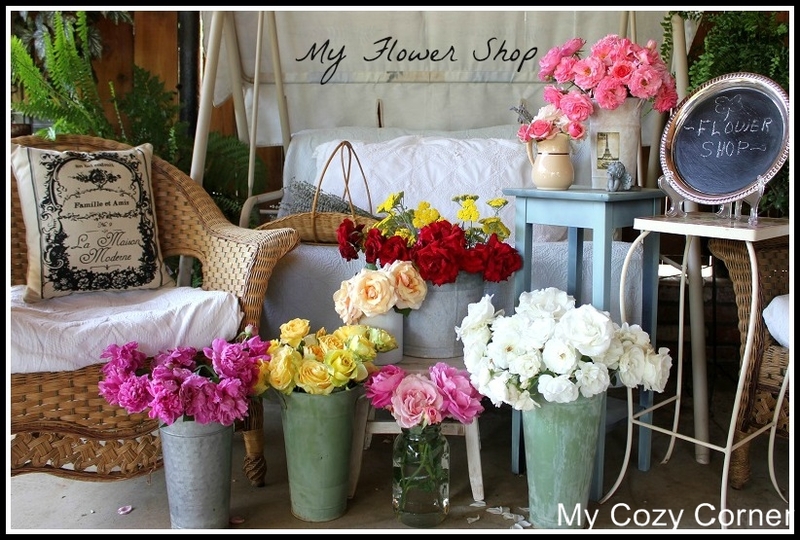 You've captured that French flower shop feel just perfectly, and your roses are just amazing!! Really a very nice blog and it is providing the good information about the Best Practices Guide and it is nice to read the information..Online Flower Shop.